What does Hasri mean, details, origin, short & easy attributes? Hasri is baby girl name mainly popular in Hindu religion and its main origin is Hindi. Hasri name meanings is Goddess Lakshmi. People search this name as Hasrika. Hasri is written in Hindi as हासरी. Other similar sounding names can be Hasshir, Hazar, Hazeerah, Hazir, Hazira, Hazirah. Each letter meanings in Hasri Name. Popular personalities with Hasri Name. 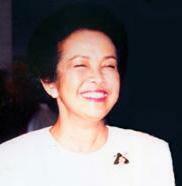 Hasri Ainun Habibie was a 3rd First Lady of Indonesia, and 7th Second Lady of Indonesia. Hasri was born on August 11th, 1937 in Semarang. She died in 2010.